The new iPad will release in a few weeks. Photo courtesy of upcoming.current.com. The tech world is on the brink of a new age: touch. From Jan. 7 to 10 at CES, the world’s largest consumer technology tradeshow, the most anticipation was over touchscreen computers. Companies including Lenovo and Dell presented several prototypes. But the buzz over touchscreens skyrocketed Jan. 27, the day Apple announced the release of the iPad. 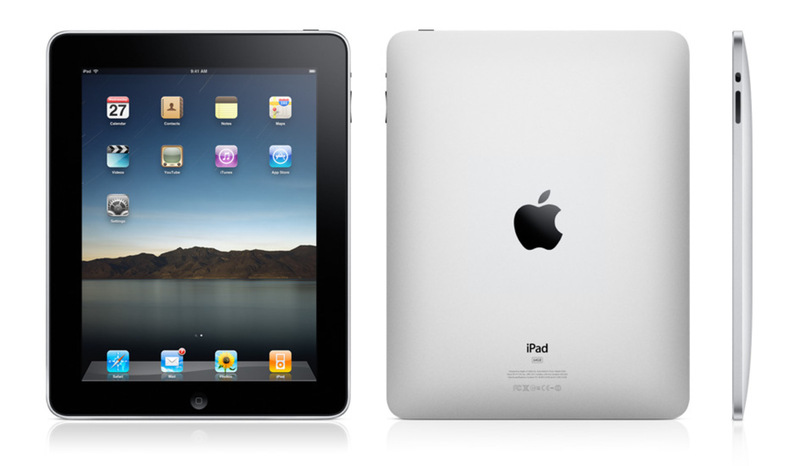 The iPad, a tablet PC, is Apple’s attempt to create a new niche of computers and revolutionize the tech world again. The excitement over the iPad has risen to incredible heights for several reasons. First, the iPad’s screen resolution and color quality far exceeds that of Amazon’s Kindle, giving it the potential to perhaps take over the eBook industry and, as some say, save the print industry. Second, Apple shakes the tech world with almost every one of its new products. The iPod, iPhone and perhaps now the iPad have demonstrated Apple’s capacity for innovation. Apple scheduled the regular version of the iPad to release 60 days after the announcement day, and the 3G version to release 90 days after. The iPad is loaded with a 1 gHz processor (not much by computer standards), a battery that lasts 10 hours for web-surfing and video, a 9.7 inch diagonal screen and 3G on some models. Some compare it to an oversized iPod Touch or iPhone. And it is, to some extent. The new eBook app, the longer (and impressive) battery life, the bigger screen, a more powerful processor and the capability to connect a keyboard customized for the iPad are the main differences. The iPad could transform the computer industry by appealing to customers as a sort of companion to mainstream laptops and desktops. Its lightness and portability make it similar to netbooks. Like the iPod and iPhone, it can be hooked up to computers and updated. In other tech news, Google released the Nexus One, the first phone designed purely by Google, Jan. 5. Loaded with Android 2.1, Google’s smartphone operating system, the Nexus One will be yet another iPhone competitor. The Nexus One comes unlocked and without restrictions on any particular carrier. Google plans to allow for service with Verizon and Vodafone in the near future as well. The Nexus One along with Motorola’s Droid also features a touchscreen.